Medivaxia Pharma – top Pharma Franchise Company offering PCD franchise opportunites in West Bengal. You can join Medivaxia Pharma and enjoy the benefits of pharma franchise business on monopoly basis in West Bengal. Company has its own manufacturing units whose products are WHO / GMP approved operating under the name of Tanishka Pharma Pvt Ltd. in Nalagarh near Baddi (Himachal Pradesh). Medivaxia Pharma is a division of Biophar Lifesciences Pvt Ltd which is an ISO 9001 certified company under the leadership of Mr. GULSHAN RAWAT ( Managing Director). Medivaxia Pharma is offering 1400+ molecules and 500+ brands all over India through its distribution networks. Now the company is looking for young business associates who can join the company through its business development programme for PCD Pharma Franchise in West Bengal. The product range and quality is of high grade. The company is also offering third party contract manufacturing services through its manufacturing facilities located in Nalagarh, Kala Amb, Baddi (HP). Pharma franchise is a good option for those who want to setup their own business through very less budget and enjoy full monopoly rights. By joining Medivaxia Pharma you will be easily accepted in the market due to its brand image and reputation of the top pharmaceutical pcd franchise company in Chandigarh. Feel free to submit query for our pharma price list and product samples. Medivaxia Pharma is a leading and top pharma company which is into the manufacturing, marketing of formulations which is well accepted in the pharma maket. Medivaxia Pharma is offering wide range of Betalactum Products, Capsules, Creams, Dry Syrup, Eye Drops,External Liquids, External Powder, Facewash, Injectable, Softgel, Syrup,Tablets, Lotion, Nutraceuticals, Ointments, Oral Sachets & Powders, Oral Liquid (Syrup & Suspension), Soaps, Shampoo and other General Products. Medivaxia Pharma – PCD franchise opportunity in Bankura , West Bengal. If you are an experienced pharmaceutical industry professionals or youngsters looking for an opportunity to start your own business in Bankura then our pharma franchise pcd programme is tailor made for you. Start your enterpreneurship become a profit buinsess venture owner. You will have monopoly rights by our custom built PCD Franchise and Pharma Monopoly Franchise programme in Bankura . Medivaxia Pharma is providing pcd pharma franchise on monoply basis in Bankura for regions : Sonamukhi, Bishnupur, Barjora, Beliatore, Bankura. Our PCD Franchise in Bankura is an excellent for you to become associated with leading Pharma Franchise Company. We invite all the pharma experts and entrepreneur to be our pharma franchise partner and start their own business in the pharmaceutical sector. Our PCD Franchise is the best opportunity for you to be the part of leading Pharma Franchise Company. This is one of the fast growing sectors in India and thus people are investing well in this sector. West Bengal provides you with this amazing opportunity to start your own business in the pharma industry. S0 if you are looking top PCD Pharma Franchise company in West Bengal then Medivaxia Pharma is the best option for you. For more detail information call us or email at info@medivaxiapharma.in. Note : We also undertake third party contract manufacturing for the above areas in Bankura , West Bengal . Click here to submit enquiry for pharma Franchise / PCD Franchise in Bankura , West Bengal. Medivaxia Pharma – PCD franchise opportunity in Barddhaman , West Bengal. If you are an experienced pharmaceutical industry professionals or youngsters looking for an opportunity to start your own business in Barddhaman then our pharma franchise pcd programme is tailor made for you. Start your enterpreneurship become a profit buinsess venture owner. You will have monopoly rights by our custom built PCD Franchise and Pharma Monopoly Franchise programme in Barddhaman . Medivaxia Pharma is providing pcd pharma franchise on monoply basis in Barddhaman for regions : Khandra, Murgathaul, Katwa, Ballavpur, Uttar Goara, Anksa, Baska, Asansol, Palashban, Sirsha, Debipur, Pangachhiya (B), Ondal, Harishpur, Jamuria, Kendra Khottamdi, Raniganj, Nabgram, Kulti, Chelad, Chak Bankola, Ukhra, Mandarbani, Siduli, Dhatrigram, Prayagpur, Belebathan, Panuhat, Haripur, Jemari, Konardihi, Chhora, Bahula, Gopinathpur, Durgapur, Bhanowara, Ratibati, Dainhat, Bilpahari, Chittaranjan, Patuli, Chapui, Jemari (J.K. Nagar Township), Parashkol, Kenda, Barddhaman, Hatsimla, Dignala, Amkula, Kajora, Sukdal, Banshra, Raghunathchak, Sarpi, Mahira, Srirampur, Kalna, Hindusthan Cables Town, Sankarpur, Parasia, Ramnagar, Kunustara, Dalurband, Dhandadihi, Memari, Guskara. Our PCD Franchise in Barddhaman is an excellent for you to become associated with leading Pharma Franchise Company. We invite all the pharma experts and entrepreneur to be our pharma franchise partner and start their own business in the pharmaceutical sector. Our PCD Franchise is the best opportunity for you to be the part of leading Pharma Franchise Company. This is one of the fast growing sectors in India and thus people are investing well in this sector. West Bengal provides you with this amazing opportunity to start your own business in the pharma industry. S0 if you are looking top PCD Pharma Franchise company in West Bengal then Medivaxia Pharma is the best option for you. For more detail information call us or email at info@medivaxiapharma.in. Note : We also undertake third party contract manufacturing for the above areas in Barddhaman , West Bengal . Click here to submit enquiry for pharma Franchise / PCD Franchise in Barddhaman , West Bengal. Medivaxia Pharma – PCD franchise opportunity in Birbhum , West Bengal. If you are an experienced pharmaceutical industry professionals or youngsters looking for an opportunity to start your own business in Birbhum then our pharma franchise pcd programme is tailor made for you. Start your enterpreneurship become a profit buinsess venture owner. You will have monopoly rights by our custom built PCD Franchise and Pharma Monopoly Franchise programme in Birbhum. Medivaxia Pharma is providing pcd pharma franchise on monoply basis in Birbhum for regions : Rampurhat, Suri, Sainthia, Bolpur, Dubrajpur, Ahmadpur. Our PCD Franchise in Birbhumis an excellent for you to become associated with leading Pharma Franchise Company. We invite all the pharma experts and entrepreneur to be our pharma franchise partner and start their own business in the pharmaceutical sector. Our PCD Franchise is the best opportunity for you to be the part of leading Pharma Franchise Company. This is one of the fast growing sectors in India and thus people are investing well in this sector. West Bengal provides you with this amazing opportunity to start your own business in the pharma industry. S0 if you are looking top PCD Pharma Franchise company in West Bengal then Medivaxia Pharma is the best option for you. For more detail information call us or email at info@medivaxiapharma.in. Note : We also undertake third party contract manufacturing for the above areas in Birbhum, West Bengal . Click here to submit enquiry for pharma Franchise / PCD Franchise in Birbhum , West Bengal. Medivaxia Pharma – PCD franchise opportunity in Dakshin Dinajpur , West Bengal. If you are an experienced pharmaceutical industry professionals or youngsters looking for an opportunity to start your own business in Dakshin Dinajpur then our pharma franchise pcd programme is tailor made for you. Start your enterpreneurship become a profit buinsess venture owner. You will have monopoly rights by our custom built PCD Franchise and Pharma Monopoly Franchise programme in Dakshin Dinajpur. Medivaxia Pharma is providing pcd pharma franchise on monoply basis in Dakshin Dinajpur for regions : Gangarampur, Balurghat. Our PCD Franchise in Dakshin Dinajpur is an excellent for you to become associated with leading Pharma Franchise Company. We invite all the pharma experts and entrepreneur to be our pharma franchise partner and start their own business in the pharmaceutical sector. Our PCD Franchise is the best opportunity for you to be the part of leading Pharma Franchise Company. This is one of the fast growing sectors in India and thus people are investing well in this sector. West Bengal provides you with this amazing opportunity to start your own business in the pharma industry. S0 if you are looking top PCD Pharma Franchise company in West Bengal then Medivaxia Pharma is the best option for you. For more detail information call us or email at info@medivaxiapharma.in. Note : We also undertake third party contract manufacturing for the above areas in Dakshin Dinajpur, West Bengal . Click here to submit enquiry for pharma Franchise / PCD Franchise in Dakshin Dinajpur , West Bengal. Medivaxia Pharma – PCD franchise opportunity in Darjiling , West Bengal. If you are an experienced pharmaceutical industry professionals or youngsters looking for an opportunity to start your own business in Darjiling then our pharma franchise pcd programme is tailor made for you. Start your enterpreneurship become a profit buinsess venture owner. You will have monopoly rights by our custom built PCD Franchise and Pharma Monopoly Franchise programme in Darjiling . Medivaxia Pharma is providing pcd pharma franchise on monoply basis in Darjiling for regions : Pattabong Tea Garden, Darjiling, Mirik, Uttar Bagdogra, Kalimpong, Cart Road, Bairatisal, Kurseong. Our PCD Franchise in Darjiling is an excellent for you to become associated with leading Pharma Franchise Company. We invite all the pharma experts and entrepreneur to be our pharma franchise partner and start their own business in the pharmaceutical sector. Our PCD Franchise is the best opportunity for you to be the part of leading Pharma Franchise Company. This is one of the fast growing sectors in India and thus people are investing well in this sector. West Bengal provides you with this amazing opportunity to start your own business in the pharma industry. S0 if you are looking top PCD Pharma Franchise company in West Bengal then Medivaxia Pharma is the best option for you. For more detail information call us or email at info@medivaxiapharma.in. Note : We also undertake third party contract manufacturing for the above areas in Darjiling , West Bengal . Click here to submit enquiry for pharma Franchise / PCD Franchise in Darjiling , West Bengal. Medivaxia Pharma – PCD franchise opportunity in Darjiling and Jalpaiguri , West Bengal. If you are an experienced pharmaceutical industry professionals or youngsters looking for an opportunity to start your own business in Darjiling and Jalpaiguri then our pharma franchise pcd programme is tailor made for you. Start your enterpreneurship become a profit buinsess venture owner. You will have monopoly rights by our custom built PCD Franchise and Pharma Monopoly Franchise programme in Darjiling and Jalpaiguri. Medivaxia Pharma is providing pcd pharma franchise on monoply basis in Darjiling and Jalpaiguri for regions : Siliguri. Our PCD Franchise in Darjiling and Jalpaiguri is an excellent for you to become associated with leading Pharma Franchise Company. We invite all the pharma experts and entrepreneur to be our pharma franchise partner and start their own business in the pharmaceutical sector. Our PCD Franchise is the best opportunity for you to be the part of leading Pharma Franchise Company. This is one of the fast growing sectors in India and thus people are investing well in this sector. West Bengal provides you with this amazing opportunity to start your own business in the pharma industry. S0 if you are looking top PCD Pharma Franchise company in West Bengal then Medivaxia Pharma is the best option for you. For more detail information call us or email at info@medivaxiapharma.in. Note : We also undertake third party contract manufacturing for the above areas in Darjiling and Jalpaiguri, West Bengal . Click here to submit enquiry for pharma Franchise / PCD Franchise in Darjiling and Jalpaiguri , West Bengal. Medivaxia Pharma – PCD franchise opportunity in Haora , West Bengal. If you are an experienced pharmaceutical industry professionals or youngsters looking for an opportunity to start your own business in Haora then our pharma franchise pcd programme is tailor made for you. Start your enterpreneurship become a profit buinsess venture owner. You will have monopoly rights by our custom built PCD Franchise and Pharma Monopoly Franchise programme in Haora . Medivaxia Pharma is providing pcd pharma franchise on monoply basis in Haora for regions : Uttar Pirpur, Andul, Khalor, Makardaha, Domjur, Bhandardaha, Natibpur, Beldubi, Kesabpur, Bipra Noapara, Sahapur, Salap, Tentulkuli, Gabberia, Mahiari, Kantlia, Uluberia, Manikpur, Chakapara, Argari, Chamrail, Sankrail, Podara, Kalara, Khantora, Eksara, Ankurhati, Panchpara, Alpur, Banupur, Santoshpur, Bankra, Bagnan, Sarenga, Dhuilya, Panchla, Mansinhapur, Jhorhat, Balaram Pota, Jagadishpur, Bally, Paniara, Nibra, Naupala, Raghudebbati, Bikihakola, Khalia, Hatgachha, Haora, Ramchandrapur, Jala Kendua, Dakshin Jhapardaha. Our PCD Franchise in Haora is an excellent for you to become associated with leading Pharma Franchise Company. We invite all the pharma experts and entrepreneur to be our pharma franchise partner and start their own business in the pharmaceutical sector. Our PCD Franchise is the best opportunity for you to be the part of leading Pharma Franchise Company. This is one of the fast growing sectors in India and thus people are investing well in this sector. West Bengal provides you with this amazing opportunity to start your own business in the pharma industry. S0 if you are looking top PCD Pharma Franchise company in West Bengal then Medivaxia Pharma is the best option for you. For more detail information call us or email at info@medivaxiapharma.in. Note : We also undertake third party contract manufacturing for the above areas in Haora , West Bengal . Click here to submit enquiry for pharma Franchise / PCD Franchise in Haora , West Bengal. Medivaxia Pharma – PCD franchise opportunity in Hugli , West Bengal. If you are an experienced pharmaceutical industry professionals or youngsters looking for an opportunity to start your own business in Hugli then our pharma franchise pcd programme is tailor made for you. Start your enterpreneurship become a profit buinsess venture owner. You will have monopoly rights by our custom built PCD Franchise and Pharma Monopoly Franchise programme in Hugli . Medivaxia Pharma is providing pcd pharma franchise on monoply basis in Hugli for regions : Shankhanagar, Monoharpur, Kodalia, Raghunathpur (PS-Dankuni), Pairagachha, Pandua, Bansberia, Mrigala, Kulihanda, Garalgachha, Baidyabati, Badhagachhi, Kharsarai, Chak Bansberia, Bhadreswar, Chandannagar, Madhusudanpur, Chikrand, Arambag, Bamunari, Singur, Begampur, Konnagar, Kanaipur, Champdani, Dharmapur, Serampore, Purba Tajpur, Barijhati, Hugli-Chinsurah, Rishra, Simla, Dakshin Rajyadharpur, Nabagram Colony, Raghunathpur (PS-Magra), Tarakeswar, Amodghata, Uttarpara Kotrung, Krishnapur. Our PCD Franchise in Hugli is an excellent for you to become associated with leading Pharma Franchise Company. We invite all the pharma experts and entrepreneur to be our pharma franchise partner and start their own business in the pharmaceutical sector. Our PCD Franchise is the best opportunity for you to be the part of leading Pharma Franchise Company. This is one of the fast growing sectors in India and thus people are investing well in this sector. West Bengal provides you with this amazing opportunity to start your own business in the pharma industry. S0 if you are looking top PCD Pharma Franchise company in West Bengal then Medivaxia Pharma is the best option for you. For more detail information call us or email at info@medivaxiapharma.in. Note : We also undertake third party contract manufacturing for the above areas in Hugli , West Bengal . Click here to submit enquiry for pharma Franchise / PCD Franchise in Hugli , West Bengal. Medivaxia Pharma – PCD franchise opportunity in Jalpaiguri , West Bengal. If you are an experienced pharmaceutical industry professionals or youngsters looking for an opportunity to start your own business in Jalpaiguri then our pharma franchise pcd programme is tailor made for you. Start your enterpreneurship become a profit buinsess venture owner. You will have monopoly rights by our custom built PCD Franchise and Pharma Monopoly Franchise programme in Jalpaiguri . Medivaxia Pharma is providing pcd pharma franchise on monoply basis in Jalpaiguri for regions : Bholar Dabri, Falakata, Jalpaiguri, Banarhat Tea Garden, Gairkata, Mainaguri, Mal, Jaygaon, Sobhaganj, Alipurduar Rly.Jnc., Chechakhata, Alipurduar, Uttar Kamakhyaguri, Paschim Jitpur, Uttar Latabari, Dhupguri. Our PCD Franchise in Jalpaiguri is an excellent for you to become associated with leading Pharma Franchise Company. We invite all the pharma experts and entrepreneur to be our pharma franchise partner and start their own business in the pharmaceutical sector. Our PCD Franchise is the best opportunity for you to be the part of leading Pharma Franchise Company. This is one of the fast growing sectors in India and thus people are investing well in this sector. West Bengal provides you with this amazing opportunity to start your own business in the pharma industry. S0 if you are looking top PCD Pharma Franchise company in West Bengal then Medivaxia Pharma is the best option for you. For more detail information call us or email at info@medivaxiapharma.in. Note : We also undertake third party contract manufacturing for the above areas in Jalpaiguri , West Bengal . Click here to submit enquiry for pharma Franchise / PCD Franchise in Jalpaiguri , West Bengal. Medivaxia Pharma – PCD franchise opportunity in Koch Bihar , West Bengal. If you are an experienced pharmaceutical industry professionals or youngsters looking for an opportunity to start your own business in Koch Bihar then our pharma franchise pcd programme is tailor made for you. Start your enterpreneurship become a profit buinsess venture owner. You will have monopoly rights by our custom built PCD Franchise and Pharma Monopoly Franchise programme in Koch Bihar . Medivaxia Pharma is providing pcd pharma franchise on monoply basis in Koch Bihar for regions : Mathabhanga, Khagrabari, Haldibari, Guriahati, Mekliganj, Dinhata, Kharimala Khagrabari, Tufanganj, Bhangri Pratham Khanda, Koch Bihar. Our PCD Franchise in Koch Bihar is an excellent for you to become associated with leading Pharma Franchise Company. We invite all the pharma experts and entrepreneur to be our pharma franchise partner and start their own business in the pharmaceutical sector. Our PCD Franchise is the best opportunity for you to be the part of leading Pharma Franchise Company. This is one of the fast growing sectors in India and thus people are investing well in this sector. West Bengal provides you with this amazing opportunity to start your own business in the pharma industry. S0 if you are looking top PCD Pharma Franchise company in West Bengal then Medivaxia Pharma is the best option for you. For more detail information call us or email at info@medivaxiapharma.in. Note : We also undertake third party contract manufacturing for the above areas in Koch Bihar , West Bengal . Click here to submit enquiry for pharma Franchise / PCD Franchise in Koch Bihar , West Bengal. Medivaxia Pharma – PCD franchise opportunity in Kolkata , West Bengal. If you are an experienced pharmaceutical industry professionals or youngsters looking for an opportunity to start your own business in Kolkata then our pharma franchise pcd programme is tailor made for you. Start your enterpreneurship become a profit buinsess venture owner. You will have monopoly rights by our custom built PCD Franchise and Pharma Monopoly Franchise programme in Kolkata. Medivaxia Pharma is providing pcd pharma franchise on monoply basis in Kolkata for regions : Kolkata. Our PCD Franchise in Kolkata is an excellent for you to become associated with leading Pharma Franchise Company. We invite all the pharma experts and entrepreneur to be our pharma franchise partner and start their own business in the pharmaceutical sector. Our PCD Franchise is the best opportunity for you to be the part of leading Pharma Franchise Company. This is one of the fast growing sectors in India and thus people are investing well in this sector. West Bengal provides you with this amazing opportunity to start your own business in the pharma industry. S0 if you are looking top PCD Pharma Franchise company in West Bengal then Medivaxia Pharma is the best option for you. For more detail information call us or email at info@medivaxiapharma.in. Note : We also undertake third party contract manufacturing for the above areas in Kolkata, West Bengal . Click here to submit enquiry for pharma Franchise / PCD Franchise in Kolkata , West Bengal. Medivaxia Pharma – PCD franchise opportunity in Maldah , West Bengal. If you are an experienced pharmaceutical industry professionals or youngsters looking for an opportunity to start your own business in Maldah then our pharma franchise pcd programme is tailor made for you. Start your enterpreneurship become a profit buinsess venture owner. You will have monopoly rights by our custom built PCD Franchise and Pharma Monopoly Franchise programme in Maldah . Medivaxia Pharma is providing pcd pharma franchise on monoply basis in Maldah for regions : Aiho, Old Maldah, Kachu Pukur, English Bazar, Kendua. Our PCD Franchise in Maldah is an excellent for you to become associated with leading Pharma Franchise Company. We invite all the pharma experts and entrepreneur to be our pharma franchise partner and start their own business in the pharmaceutical sector. Our PCD Franchise is the best opportunity for you to be the part of leading Pharma Franchise Company. This is one of the fast growing sectors in India and thus people are investing well in this sector. West Bengal provides you with this amazing opportunity to start your own business in the pharma industry. S0 if you are looking top PCD Pharma Franchise company in West Bengal then Medivaxia Pharma is the best option for you. For more detail information call us or email at info@medivaxiapharma.in. Note : We also undertake third party contract manufacturing for the above areas in Maldah , West Bengal . 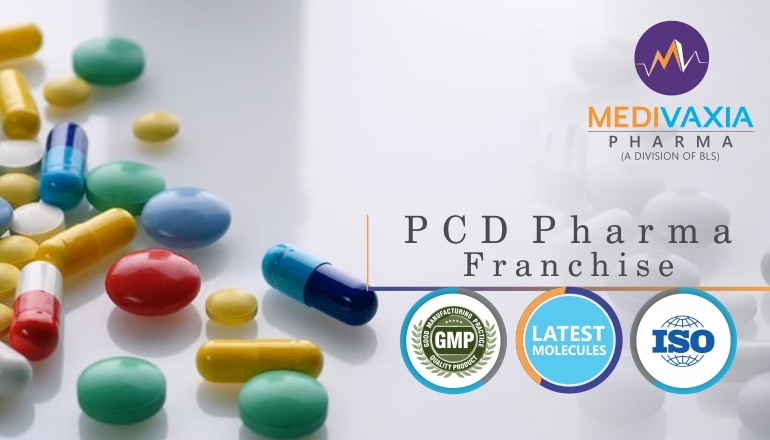 Click here to submit enquiry for pharma Franchise / PCD Franchise in Maldah , West Bengal. Medivaxia Pharma – PCD franchise opportunity in Medinipur , West Bengal. If you are an experienced pharmaceutical industry professionals or youngsters looking for an opportunity to start your own business in Medinipur then our pharma franchise pcd programme is tailor made for you. Start your enterpreneurship become a profit buinsess venture owner. You will have monopoly rights by our custom built PCD Franchise and Pharma Monopoly Franchise programme in Medinipur . Medivaxia Pharma is providing pcd pharma franchise on monoply basis in Medinipur for regions : Bahirgram, Kakdihi, Medinipur, Durllabhganj, Goasafat, Balichak, Kharagpur, Haldia, Chandrakona, Egra, Deuli, Kharagpur Rly. Settlement , Kharar, Ghatal, Ramjibanpur, Tamluk, Kolaghat, Jhargram, Dakshin Baguan, Contai, Kshirpai. Our PCD Franchise in Medinipur is an excellent for you to become associated with leading Pharma Franchise Company. We invite all the pharma experts and entrepreneur to be our pharma franchise partner and start their own business in the pharmaceutical sector. Our PCD Franchise is the best opportunity for you to be the part of leading Pharma Franchise Company. This is one of the fast growing sectors in India and thus people are investing well in this sector. West Bengal provides you with this amazing opportunity to start your own business in the pharma industry. S0 if you are looking top PCD Pharma Franchise company in West Bengal then Medivaxia Pharma is the best option for you. For more detail information call us or email at info@medivaxiapharma.in. Note : We also undertake third party contract manufacturing for the above areas in Medinipur , West Bengal . Click here to submit enquiry for pharma Franchise / PCD Franchise in Medinipur , West Bengal. Medivaxia Pharma – PCD franchise opportunity in Murshidabad , West Bengal. If you are an experienced pharmaceutical industry professionals or youngsters looking for an opportunity to start your own business in Murshidabad then our pharma franchise pcd programme is tailor made for you. Start your enterpreneurship become a profit buinsess venture owner. You will have monopoly rights by our custom built PCD Franchise and Pharma Monopoly Franchise programme in Murshidabad . Medivaxia Pharma is providing pcd pharma franchise on monoply basis in Murshidabad for regions : Gora Bazar, Paschim Punropara, Uttar Mahammadpur, Goaljan, Baharampur, Murshidabad, Kankuria, Jiaganj Azimganj, Kandi, Kasim Bazar, Dhulian, Serpur, Farrakka Barrage Township, Jangipur, Charka, Chachanda, Fatellapur, Jagtaj, Ghorsala, Khodarampur, Aurangabad, Srikantabati, Dafahat, Harharia Chak, Sahajadpur, Anup Nagar, Jot Kamal, Beldanga, Dhusaripara. Our PCD Franchise in Murshidabad is an excellent for you to become associated with leading Pharma Franchise Company. We invite all the pharma experts and entrepreneur to be our pharma franchise partner and start their own business in the pharmaceutical sector. Our PCD Franchise is the best opportunity for you to be the part of leading Pharma Franchise Company. This is one of the fast growing sectors in India and thus people are investing well in this sector. West Bengal provides you with this amazing opportunity to start your own business in the pharma industry. S0 if you are looking top PCD Pharma Franchise company in West Bengal then Medivaxia Pharma is the best option for you. For more detail information call us or email at info@medivaxiapharma.in. Note : We also undertake third party contract manufacturing for the above areas in Murshidabad , West Bengal . Click here to submit enquiry for pharma Franchise / PCD Franchise in Murshidabad , West Bengal. Medivaxia Pharma – PCD franchise opportunity in Nadia , West Bengal. If you are an experienced pharmaceutical industry professionals or youngsters looking for an opportunity to start your own business in Nadia then our pharma franchise pcd programme is tailor made for you. Start your enterpreneurship become a profit buinsess venture owner. You will have monopoly rights by our custom built PCD Franchise and Pharma Monopoly Franchise programme in Nadia . Medivaxia Pharma is providing pcd pharma franchise on monoply basis in Nadia for regions : Bablari Dewanganj, Jagadanandapur, Taherpur, Krishnanagar, Darappur, Madanpur, Kalyani, Satigachha, Cooper’s Camp, Parbbatipur, Char Maijdia, Gopalpur, Nasra, Karimpur, Santipur, Baruihuda, Chakdaha, Birnagar, Ranaghat, Kshidirpur, Aistala, Phulia, Gayespur, Nabadwip, Char Brahmanagar. Our PCD Franchise in Nadia is an excellent for you to become associated with leading Pharma Franchise Company. We invite all the pharma experts and entrepreneur to be our pharma franchise partner and start their own business in the pharmaceutical sector. Our PCD Franchise is the best opportunity for you to be the part of leading Pharma Franchise Company. This is one of the fast growing sectors in India and thus people are investing well in this sector. West Bengal provides you with this amazing opportunity to start your own business in the pharma industry. S0 if you are looking top PCD Pharma Franchise company in West Bengal then Medivaxia Pharma is the best option for you. For more detail information call us or email at info@medivaxiapharma.in. Note : We also undertake third party contract manufacturing for the above areas in Nadia , West Bengal . Click here to submit enquiry for pharma Franchise / PCD Franchise in Nadia , West Bengal. Medivaxia Pharma – PCD franchise opportunity in North Twentyfour Parganas , West Bengal. If you are an experienced pharmaceutical industry professionals or youngsters looking for an opportunity to start your own business in North Twentyfour Parganas then our pharma franchise pcd programme is tailor made for you. Start your enterpreneurship become a profit buinsess venture owner. You will have monopoly rights by our custom built PCD Franchise and Pharma Monopoly Franchise programme in North Twentyfour Parganas. Medivaxia Pharma is providing pcd pharma franchise on monoply basis in North Twentyfour Parganas for regions : Kamarhati, Muragachha, Garulia, Sonatikiri, Dhakuria, Ichhapur Defence Estate, Naihati, Kanchrapara, Guma, Madhyamgram, Halisahar, Titagarh, North Barrackpur, Garshyamnagar, Bhatpara, North Dumdum, Nebadhai Duttapukur, New Barrackpur, Habra, Bidhan Nagar, Khardaha, Basirhat, Bara Bamonia, South Dumdum, Dumdum, Gobardanga, Barrackpur Cantonment, Kaugachhi, Nokpul, Bangaon, Jetia, Ashoknagar Kalyangarh, Maslandapur, Talbandha, Barasat, Panihati, Barrackpur, Taki, Jafarpur, Chandpur, Patulia, Raigachhi, Rajarhat Gopalpur, Dhanyakuria, Ruiya, Baduria, Baranagar, Sadpur. Our PCD Franchise in North Twentyfour Parganas is an excellent for you to become associated with leading Pharma Franchise Company. We invite all the pharma experts and entrepreneur to be our pharma franchise partner and start their own business in the pharmaceutical sector. Our PCD Franchise is the best opportunity for you to be the part of leading Pharma Franchise Company. This is one of the fast growing sectors in India and thus people are investing well in this sector. West Bengal provides you with this amazing opportunity to start your own business in the pharma industry. S0 if you are looking top PCD Pharma Franchise company in West Bengal then Medivaxia Pharma is the best option for you. For more detail information call us or email at info@medivaxiapharma.in. Note : We also undertake third party contract manufacturing for the above areas in North Twentyfour Parganas, West Bengal . Click here to submit enquiry for pharma Franchise / PCD Franchise in North Twentyfour Parganas , West Bengal. Medivaxia Pharma – PCD franchise opportunity in Puruliya , West Bengal. If you are an experienced pharmaceutical industry professionals or youngsters looking for an opportunity to start your own business in Puruliya then our pharma franchise pcd programme is tailor made for you. Start your enterpreneurship become a profit buinsess venture owner. You will have monopoly rights by our custom built PCD Franchise and Pharma Monopoly Franchise programme in Puruliya. Medivaxia Pharma is providing pcd pharma franchise on monoply basis in Puruliya for regions : Adra, S.T. Power Project Town, Barabazar, Arra, Puruliya, Nabagram, Chapari, Balarampur, Raghunathpur, Par Beliya, Jhalda, Hijuli. Our PCD Franchise in Puruliya is an excellent for you to become associated with leading Pharma Franchise Company. We invite all the pharma experts and entrepreneur to be our pharma franchise partner and start their own business in the pharmaceutical sector. Our PCD Franchise is the best opportunity for you to be the part of leading Pharma Franchise Company. This is one of the fast growing sectors in India and thus people are investing well in this sector. West Bengal provides you with this amazing opportunity to start your own business in the pharma industry. S0 if you are looking top PCD Pharma Franchise company in West Bengal then Medivaxia Pharma is the best option for you. For more detail information call us or email at info@medivaxiapharma.in. Note : We also undertake third party contract manufacturing for the above areas in Puruliya, West Bengal . Click here to submit enquiry for pharma Franchise / PCD Franchise in Puruliya , West Bengal. Medivaxia Pharma – PCD franchise opportunity in South Twentyfour Parganas , West Bengal. If you are an experienced pharmaceutical industry professionals or youngsters looking for an opportunity to start your own business in South Twentyfour Parganas then our pharma franchise pcd programme is tailor made for you. Start your enterpreneurship become a profit buinsess venture owner. You will have monopoly rights by our custom built PCD Franchise and Pharma Monopoly Franchise programme in South Twentyfour Parganas. Medivaxia Pharma is providing pcd pharma franchise on monoply basis in South Twentyfour Parganas for regions : Amtala, Budge Budge, Birlapur, Uttar Raypur, Bowali, Bishnupur, Pujali, Bilandapur, Uttar Durgapur, Chak Kashipur, Uttar Kalas, Baruipur, Rajpur Sonarpur, Jaynagar Mazilpur, Bhangar Raghunathpur, Diamond Harbour, Chak Enayetnagar, Chata Kalikapur, Balarampur, Kanyanagar, Maheshtala. Our PCD Franchise in South Twentyfour Parganas is an excellent for you to become associated with leading Pharma Franchise Company. We invite all the pharma experts and entrepreneur to be our pharma franchise partner and start their own business in the pharmaceutical sector. Our PCD Franchise is the best opportunity for you to be the part of leading Pharma Franchise Company. This is one of the fast growing sectors in India and thus people are investing well in this sector. West Bengal provides you with this amazing opportunity to start your own business in the pharma industry. S0 if you are looking top PCD Pharma Franchise company in West Bengal then Medivaxia Pharma is the best option for you. For more detail information call us or email at info@medivaxiapharma.in. Note : We also undertake third party contract manufacturing for the above areas in South Twentyfour Parganas, West Bengal . Click here to submit enquiry for pharma Franchise / PCD Franchise in South Twentyfour Parganas , West Bengal. Medivaxia Pharma – PCD franchise opportunity in Uttar Dinajpur , West Bengal. If you are an experienced pharmaceutical industry professionals or youngsters looking for an opportunity to start your own business in Uttar Dinajpur then our pharma franchise pcd programme is tailor made for you. Start your enterpreneurship become a profit buinsess venture owner. You will have monopoly rights by our custom built PCD Franchise and Pharma Monopoly Franchise programme in Uttar Dinajpur. Medivaxia Pharma is providing pcd pharma franchise on monoply basis in Uttar Dinajpur for regions : Dalkhola, Islampur, Kaliaganj, Kasba, Raiganj, Nachhratpur Katabari. Our PCD Franchise in Uttar Dinajpur is an excellent for you to become associated with leading Pharma Franchise Company. We invite all the pharma experts and entrepreneur to be our pharma franchise partner and start their own business in the pharmaceutical sector. Our PCD Franchise is the best opportunity for you to be the part of leading Pharma Franchise Company. This is one of the fast growing sectors in India and thus people are investing well in this sector. West Bengal provides you with this amazing opportunity to start your own business in the pharma industry. S0 if you are looking top PCD Pharma Franchise company in West Bengal then Medivaxia Pharma is the best option for you. For more detail information call us or email at info@medivaxiapharma.in. Note : We also undertake third party contract manufacturing for the above areas in Uttar Dinajpur, West Bengal . Click here to submit enquiry for pharma Franchise / PCD Franchise in Uttar Dinajpur , West Bengal.